Explore the Puerto del Rosario in Fuerteventura. 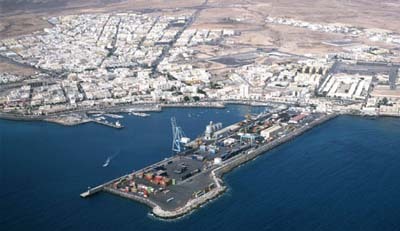 Puerto del Rosario is a municipality and also the capital of Fuerteventura. This municipality extends itself from the East to the West Coast. The municipality Puerto del Rosario is formed by the cities Casillas del Ángel, Tetir, La Asomada, el Matorral, Tefia, La Matilla, Guisguey, Los Llanos and Puerto del Rosario, the capital of this island. In Puerto del Rosario you might enjoy many natural protected spaces of Vallebrón and the Betancuria Rural Park which also belongs to other municipalities of Fuerteventura. We also recommend the beaches of Puerto del Rosario which have all the excellent conditions to practice water sports as windsurf or surf. It’s important to know that the Fuerteventura airport, the main access point to this island, is located in El Matorral, part of Puerto del Rosario municipality, and only 5 kilometers away from it. The connections between different municipalities and Puerto del Rosario might be done by bus from nearly any point in Fuerteventura. Puerto del Rosario also has a wide range of theme museums, both public and private. Among them we recommend the Unamuno House Museum, the La Alcogida Ecomuseum and the Juan Ismael art centre. If you like art and culture you should know that the municipality of Puerto del Rosario might be the perfect place for you to visit as it has many facilities and diverse infrastructures dedicated to it. 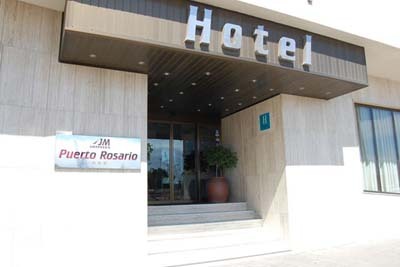 Puerto del Rosario also has many good hotels where you might stay, both for a few days or for your holidays. Check hotel offers in Puerto del Rosario here.